The spent fuel pools at Fukushima are currently the top short-term threat to humanity. 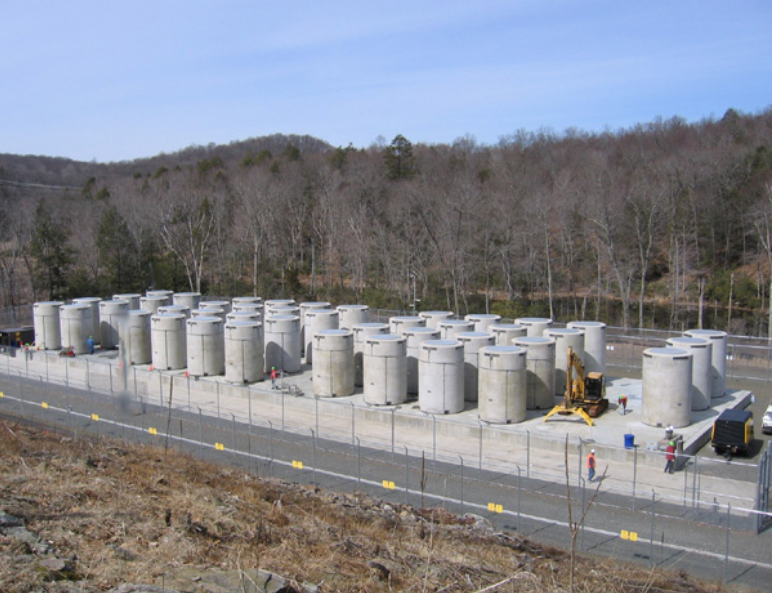 But fuel pools in the United States store an average of ten times more radioactive fuel than stored at Fukushima, have virtually no safety features, and are vulnerable to accidents and terrorist attacks. The Pilgrim Nuclear plant is only 35 miles from downtown Boston. According to the Nuclear Regulatory Commission, Pilgrim has the second highest risk of damage from an earthquake of any American nuclear facility. Stock here....I am a big fan of dry cask. It kicks the can down the road, before a terrorist can burn and aerosolize a full inventory of spent fuel. Or a natural accident. Let's kick the can into a Cask-it, and shut them all down. Mahalo!